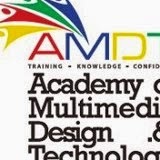 Academy of Multimedia Design and Technology (ADMT) is one of the leading institute in Creative Art education. This institute provide so many various courses under graphic and multimedia designing. Following are several Advanced Diplomas and Short Course conducted at this institute. For further details, like course contents , Course Fees and other necessary information's please contact following.